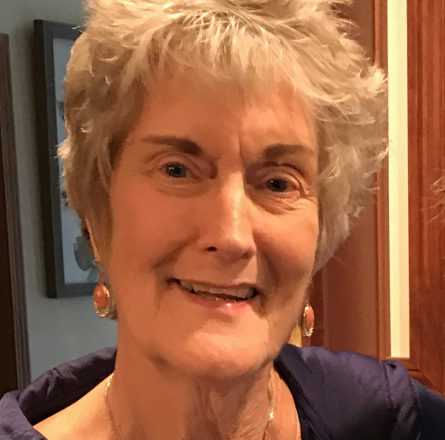 Janet Kay Eisenmann, 73, of Sturgeon Bay, died Nov. 28, 2018 in Green Bay. She was born Nov. 20, 1945 in West Bend, Wisconsin to Everette and Bernice Kurth. On Nov. 27, 1971, she married Ronald R. Eisenmann. Together they raised four children, enjoyed traveling, antiquing and a quiet Door County lifestyle. Janet and Ron moved to Sturgeon Bay in 1975 when Ron retired from the US Navy and took a job at Bay Shipbuilding. Janet had worked for Bay Pharmacy, the Unified Board, and for Stangel Accounting. She also did volunteer work for Habitat for Humanity for several years. Janet loved shopping with her daughter, and also enjoyed having lunch with friends, and spending time with her “Granny Club”. She is survived by her husband, four children: Carin Eisenmann of Indianapolis, IN, Bill (Sandy) Eisenmann of Oronoco, MN, John (Julia) Eisenmann of Hammond, WI, and Wendy (Rob) Winters, Appleton, WI; 7 grandchildren, 5 great-grandchildren, and a sister Jean (Bob) Krell of West Bend, WI. She was preceded in death by her parents. A celebration of her life will be held at a later date. Memorials may be directed to Habitat for Humanity. Forbes Funeral Home & Cremations is in charge of arrangements.